TSL100, Tube Guitar Amp Head from Marshall in the JCM2000 TSL series. crankyrayhanky's review"In the shop all the time"
Yes, this amp will sound decent almost right away. Throw the dials to noon and crank it up and the sounds will be workable. The controls are intuitive, so I never even looked at the manual. I have lots of guitars at my disposal, but I mainly used my Gibson Les Paul. I typically dialed in a clean tone that was mainly crystal, with a smidge of dirt. I would also dial in a high gain sound, and use the guitar's volume controls to create alternate lo/mid gain tones. Typically went with the DEEP switch engaged and often used the VPR (Virtual Power Reduction). The VPR knocks the wattage down; I'm not sure how, but it's clearly better than any attenuator I've used...perhaps it turns a couple power tubes off? I don't know, but it's effective for taming what is otherwise a super loud amp. I had a dsl combo before this head, so i knew what i was getting into. Unlike many scathing reviews, I actually like this amp for the pop/punk/hard rock applications I used it for in my band. Super hi clarity and slices right through. Critics will say that the amp is a bit sterile and lacks the organic feel of the older famous Marshalls- but I enjoyed this modern take and the plathera of options the amp offers. But here's the issue that makes this amp a total ZERO- the transformer went out countless times. I kept going back to the shop, and even though it was covered on warranty, it was beyond annoying. One show it went out 30 seconds into the first song, making me turn to the next band and borrow his Line6 for the gig (ugggh). I shouldn't bag on the line6, at least that amp worked. I had the same issues with my combo. 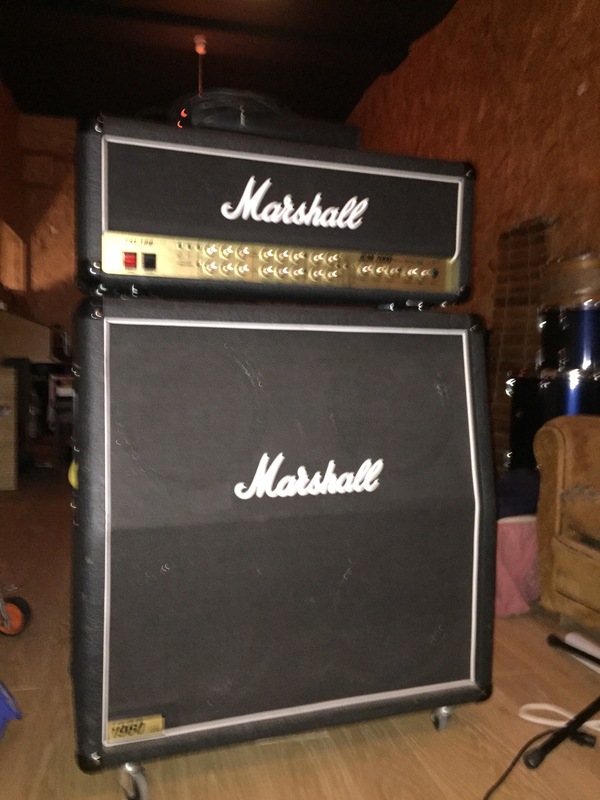 A quick look around the web says that this is a known issue that keeps happening, meaning that marshall just doesn't seem to care about improving it's product. I guess you could get a transformer upgrade, but at that price point I would recommend looking at the countless other "marshallesque" options that are out there. i would have liked this amp- even though others say it is a bee buzzy disgrace. Crank up the volume and the quality drastically increases, if it works... Thumbs down! 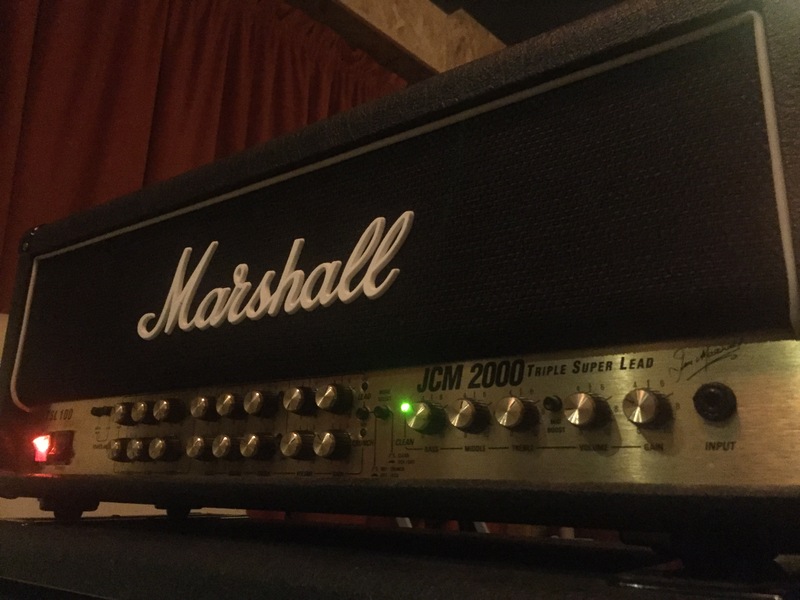 MGR/Garufi's review"Marshall JCM 2000 TSL 100"
I have not "aquired" this amp yet, but I've played it so many times at GC for hours that I know it so well. I beleive its the most expensive Marhsall Head. Does this mean it's the best...Definitly. This is clearly the best modern amp of its class. I love that the second channel has lenty of gain for a solid rythem, and then the you just might not need you overdrive pedal when you switch to the third and final channel. I've heard this amp cranked to "10" while standing very far away, and I swear there is nothing that could ever sound so sweet. For shredders and punk rockers and metalfreaks, this amp truly covers it all. What I like about this unit: It is the mother of all units. They should somehow get a built in delay unit in the JCM line. I know that Marshall's delay in the AVT series is great. Very Strong. No problems here. This amp obviuosly cranks but we are all past that, but people get all mixed up when they hear Mesa Boogie Rectifier, and Peavey 5150, and Marshall Mode Four, and Frames (actually the best ampplifiers for sheer, rediculous metal only...in the world), and Crate BLue Voodoo, and Ibanez, and Carvin. I will just tell you right now, that the JCM is the way to go...it's always been the way to go, and it will always be the way to go. All the gain, all the power, all the bottom end, all the screaming highs, and all the tone you will ever need is in this unit. 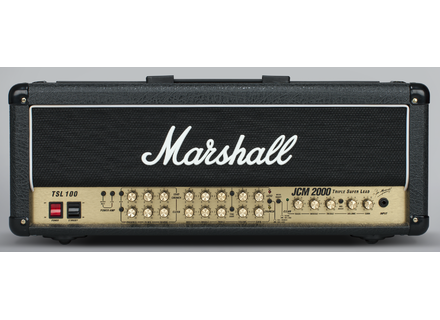 The JCM2000 TSL 100 should be your dream amp. I suggest going to the stores and trying ever amp in the store. Do not settle for the combo version. Stack it up and crank it. 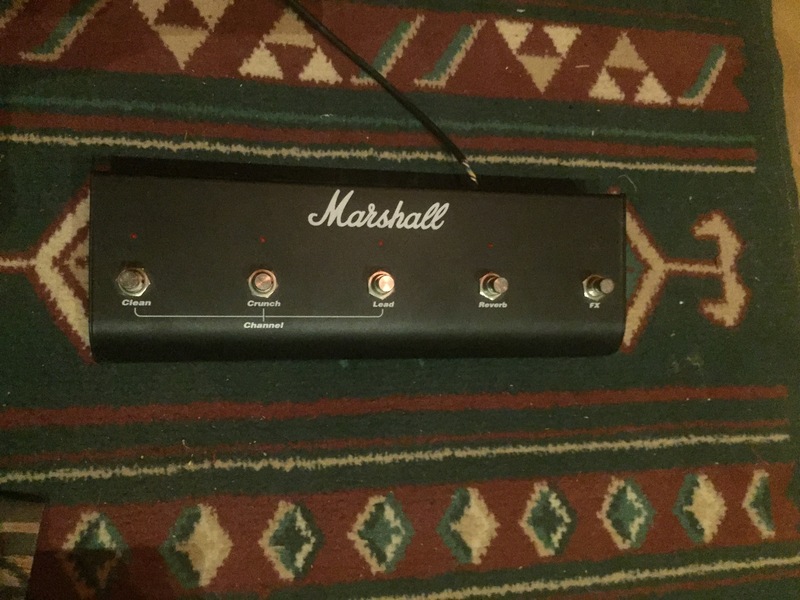 MGR/Marshall Junkie's review"Marshall TSL 100"
The thing I love about the TSL 100 is it has (2) FX loops & for what I play that is great.Also having 3 channel's that are footswitchable is a big plus. To be honest I haven't found anything that I dis like about the amp. It is like any Marshall product built with tons of pride...I mean Marshall has set the standard for Rock & blues amps.Made with quality woods & parts. I would have to add ....if you thinking of buying an amp & your kind of stuck & not sure what to buy that most companies try to copy Marshall but most fall way short. 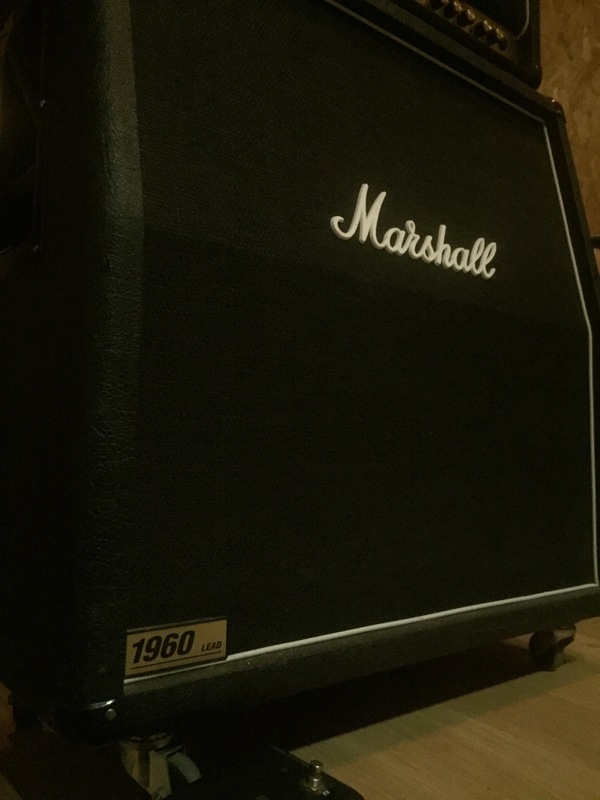 MGR/Spanky Bottoms's review"Marshall JCM2000 TSL"
bought this amp new at Music Lovers Shoppe for about $800. I traded a Rocktron Voodoo Valve pre-amp, Stereo power amp and stereo 4X12 cab for it. I wanted to get rid of the complex MIDI setup I had and get back to some serious TONE. the TONE baby! The sound of this amp is pure Marshall, plus an amazing clean channel. The crunch channel is super chunky with strong mids and satisfying lows. Lead channel uses a more aggressive version of the same tone, while the clean channel will do everything from super clean tele tones to dirty blues. With the 4X12 cab this amp has more than enough headroom for almost any gig. If your looking for a great rock amp, look no farther. If you play Heavy Metal, check out Mesa/Boogie triple rectifier. It's very large and heavy so it can be a real drag (literally) to haul it around to gigs in my car. The tubes get HOT. Construction looks to be almost bulletproof. Seriously, the weight of this amp is considerable..it ain't made out of cheap-a$$ particle board! I have damaged the tolex covering on the cabinet by banging it into doorways and the trunk of my car but the 'road-scars' look good. It would take a lot of abuse to cause real damage. I suppose the tubes are the weak point and will need to be replaced someday but for now they are still rockin' like new after a few years in service. This amp sounds great and is built like a tank. If you want the ultimate Marshall tone I recommend it. Granted, it's expensive but well worth it.